Birth certificates in Bangladesh. A crucial issue, not often discussed. In the wake of the Rana Plaza collapse, media, research, company and campaign attention in/on Bangladesh has typically focused on such issues as disaster relief and compensation, building and worker safety, wages and trade unionism, etc.—all issues we know are important to labour rights (and not only in Bangladesh). It’s time to add the importance of birth certificates to that long list. My Birth Certificate! 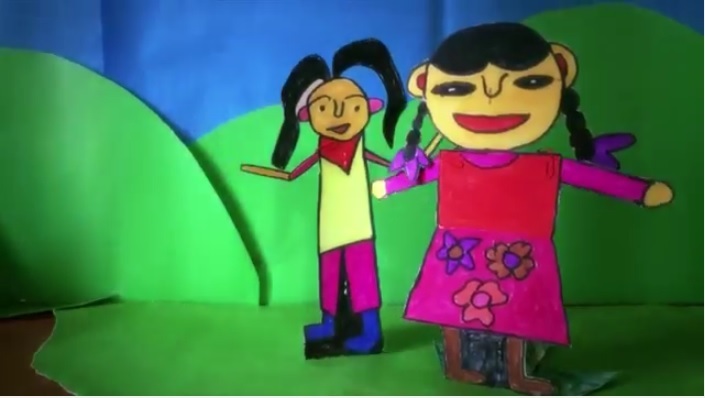 is stop motion animations made (written, produced, directed) by children in Bangladesh. It is the result of a collaboration between Rainbow Collective, Alex Nobel (EMG Initiative), TRAID, ChildHope UK and Nagorik Uddyog in Bangladesh. This entry was posted in Bangladesh, Labour, Responsibility, Social and tagged activism, Alex Nobel, art, Bangladesh, birth certificates, Child Rights, child voices, Film, Nagorik Uddyog, narrative, Rainbow Collective, TRAID on April 11, 2016 by Mary Hanlon.